As You Read. Week 11. Tabernacle. As you read this week’s Living in The Story scriptures, watch how several important stories and themes intertwine with one other. See the passion of the God who had created them, called them, rescued them and brought them on eagles’ wings to God’s own self. See Peter on the Mount of Transfiguration filled with passion for the vision of glory he was allowed to witness. See also the passion of the Christ, who – when he left this glorious mountaintop experience – walked resolutely toward the paradoxical glory of the Cross. As you read Exodus 35-40, relax and enjoy the story – the way it is told and the pictures it creates in your imagination. Don’t over analyze; let the beauty and generosity wash over you. As you read the Psalms (27, 84) notice the celebration of God’s “dwelling place.” Probably these particular psalms came from the period of the first Temple, but they hearken back to the ancient tradition of the Tabernacle. 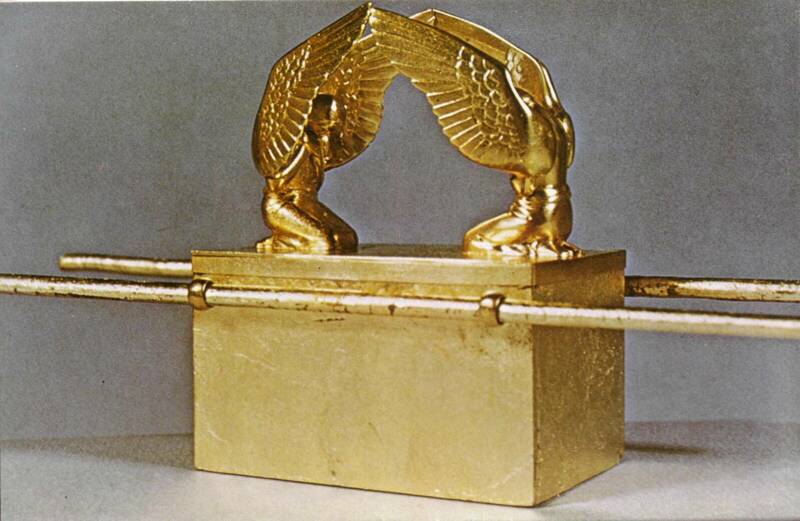 There was a deep sense that the One True God who is not bound by time or space still, in some mystery, “dwelt” above the cherubim of the Ark of the Covenant. The stories from Exodus speak of The Glory descending upon the Tent of Meetings and filling it with cloud and light. “Come (my heart says) Seek God’s face!” Your face, Lord, I do seek. Do not hide your face from me. You cannot see my face; for no one shall see me and live. So I will put you in the cleft of the rock and I will cover you with my hand until I have passed by; then I will take away my hand and you shall see my back. But my face shall not be seen. As you read Matthew 14-20, notice how many times Jesus predicts his coming suffering, death and resurrection (16, 17, 20). As in Mark, Matthew places these passion predictions in a cluster, setting up the coming events in Jerusalem. Here in chapter 16 is a pivotal story repeated in all the Synoptics: the confession of Peter that Jesus is the Messiah. But note how (as in all the Synoptics) Peter immediately shows his misunderstanding of what it means to be “Messiah.” This is the unfolding gospel told by all Four Evangelists: God’s way of fulfilling ancient promises of salvation is unexpected and unimagined. Chapter 17 of Matthew gives us another classic story from the Synoptics: the transfiguration in which our friend Moses meets Jesus on the mountaintop in cloud and light. Here is the dazzling glory of heaven descending to “dwell” on earth. Peter’s offer to build three tabernacles is a poetic re-reading of God’s ancient people creating holy space and inviting the One who is not bound by time or space to dwell among them. We have considered previously how the gospel writers tell the story of the Christ Event so that Jesus is always both truly human and truly divine. 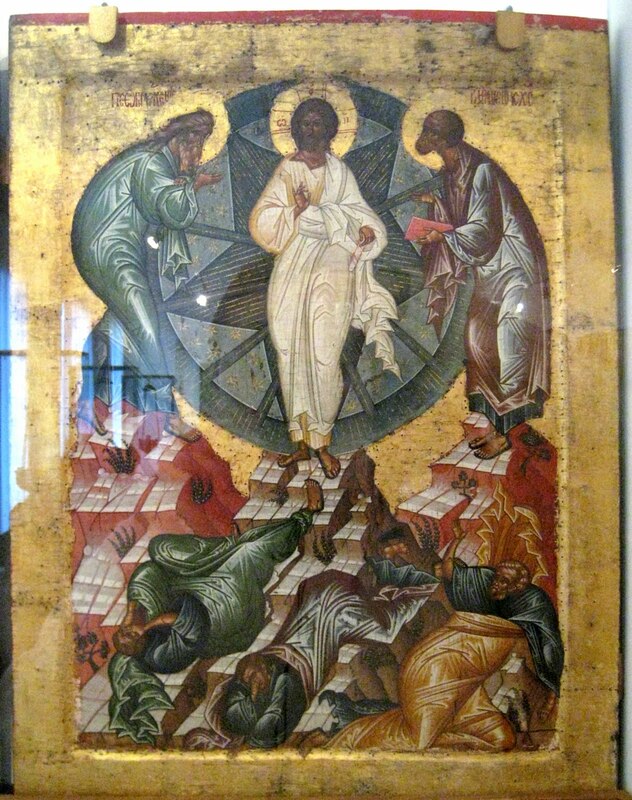 However, in this story of transfiguration, in this mysterious vision, heaven and earth intersect with unique meaning. The descriptions of Jesus come from descriptions written in Daniel and Ezekiel imagining end times (apocalyptic visions) and at the same time the picture reflects the visionary experience of those who encountered the glory of the resurrected Christ. Then in chapter 5, there is an intriguing discussion of “tents.” Our earthly tents, Paul says, (our mortal bodies, our human experiences) are temporary but, in heaven, God has prepared a “building” that is “eternal in the heavens.” Again, he is tapping into the ancient story and alluding to the ultimate meaning of Tabernacle and Temple. Reading ALL the Bible with Living in The Story gives us insight into some of the ways the meaning of the stories evolved and deepened throughout the centuries. 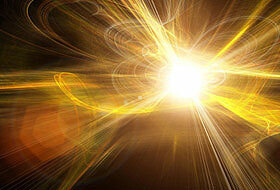 Meaning and understanding continue to grow because the Divine Presence continues to dwell among us in glory. It is God who said: “Let light shine out of darkness,” who has shone in our hearts to give the light of the knowledge of the glory of God in the face of Jesus Christ.